If you are interested in industry conferences, learning and training, then this is the place for you. 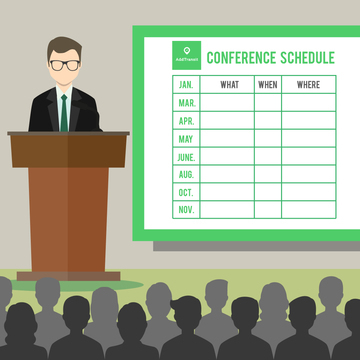 We’ve rounded up Bus and Charter Bus Conferences for all of 2016! Make sure to register early so you don’t miss out on the great information and networking opportunities. Visit the United Motor Coach Association website for more information. Visit the Pennsylvania Bus Association website for more information. Visit the Queensland Bus Industry Counsil website for more information. Visit the BusNSW website for more information. Visit the BusSA website for more information. Visit the European Bus Forum website for more information. Visit the NAMO Coaches website for more information. Visit the Australian Bus and Coach website for more information. Visit the Rural Public and Intercity Bus Transportation website for more information. Where: Rendezvous Hotel, Scarborough Perth. Visit the OzeBus website for more information.